Participates in at least 75% of Executive Committee Conference calls/meetings. Establishes agenda, meeting times and dates for Executive Committee meetings. Establishes agenda for Regular Business Meetings. Chairs the Executive Committee and regular business meetings. Establishes short term and long-term goals and objectives with input from the Executive Committee and society membership. Acts as the Society’s representative in Society matters. Is responsible for ongoing review and annual review of the Society’s goals and objectives. Appoints and directs committees as appropriate. Submits the Annual Report to membership at the annual business meeting in December. 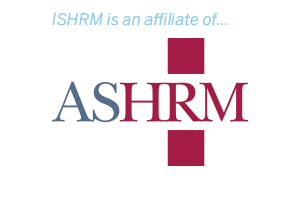 Is a current ASHRM member. Attends ASHRM conference on behalf of the Society. Introduces new members at Society meetings. Sends out membership renewal reminders/notices to all current and past members in January of each year. Participation in at least 75% of the Executive Committee conference calls/meetings. In collaboration with the Executive Committee solicits nominations from membership, reviews candidates, and selects the winner of the Glenn T. Troyer award by mid-November. Assist the current President and other Executive Committee members to develop, review and implement goals and objectives. Solicits and oversees corporate sponsorship annually. Participates in at least 75% of the quarterly Executive Committee calls/meetings prior to educational programs. In collaboration with the Executive Committee develops agenda and topics for educational programs. Functions as the President should the office be vacated or if the President is unavailable. Participation in at least 75% of Executive Committee conference calls/meetings. Receives, records and deposits: annual membership dues, meeting registration fees, donations, and any other miscellaneous moneys received. Pays all expenses for the Society, including but not limited to, post office rental, educational meetings, speaker expenses, printing costs, mailing costs, and chapter supplies. Maintains and balances the Society’s accounting books. Prepares the treasurer’s report, showing debits and credits, prior to each business meeting and at the request of the Executive Committee. Prepares annual Indiana Not-for-Profit tax returns according to Indiana requirements. Send out 2nd notice of non-paid membership dues to all previous year members by March 31st. Provides name and demographic information of new members to the Executive Committee. Maintains the membership roster on the web site. Provides notification to member of paid dues upon request. Responsible for the maintenance of the pot office box. (May delegate authority to another member). Ensure that two Executive Committee officers are authorized so sign checks. The primary signature being that of the Treasurer. Order current officer/Glenn Troyer Award Recipient plaques to be presented at the December Business meeting. Establish and chair a nomination committee consisting of two additional members to prepare a full slate of candidates and ensuring that the elections for new chapter officers are held in accordance with the society bylaws. Sends acknowledgement letters to new and renewing members. The letters will contain a brief organizational overview and orientation to the web site. Participation in at least 75 % of the Executive Committee conference calls/meetings. The Secretary functions as the President until an election is conducted should the offices of the President and President Elect be vacated. Record an accurate count of attendance at each Executive Committee meeting and report in minutes. Prepare any correspondence as directed by the President or President Elect.